Attention builders and developers! Opportunity knocks! This is an offering to substantially tear down and rebuild the current structure and includes plans with ?Ready to Issue? permits. Plans are fully approved with LADBS and the Mulholland Corridor so building can start immediately. 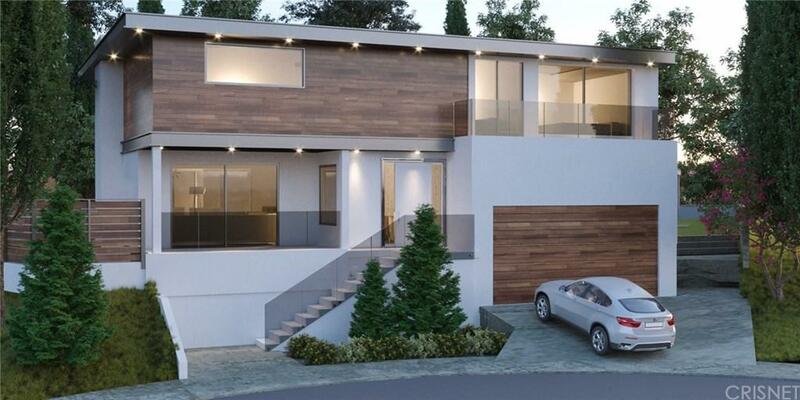 Plans are for an architectural modern style house (see renderings) with over 3800 sq. ft., 5 Bedrooms and 3 ~ Bathrooms. Walls of glass from the rear rooms overlook spectacular views of the Valley! Perfectly positioned at the end of a quiet cul-de-sac, close to Mulholland Drive and desirable Lanai Road School make this a winning combination.